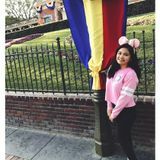 Mission Viejo Veterinary Technology Student Seeking Job Opportunities in California! Hi there my name is Isabella! I am a student studying to get my degree as a Veterinary technologist (nurse). I have experience in animal hospitals and I am very work motivated. I'm searching for a dog walker work opportunity in Mission Viejo, California and surrounding areas. My goal is to gain more experience with animals, although my dream is to work as a veterinary nurse at a zoo or sanctuary. I can alter my schedule to meet your needs, but I am a part time worker because of school. Flexibility between both parties is a must. I am comfortable doing dog feeding, providing play time, and exotic pet care. I can perform nail trims, gland expression and ear cleanings on your pets *for extra charge*. I also am willing to travel 15 miles. I have extensive experience. Send a message and I'll reply within a few hours. Loves Animals - Ideal for overnight and extended care.